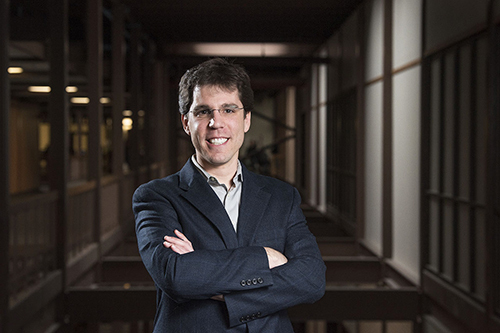 Eduardo Blanco, an assistant professor with the Department of Computer Science and Engineering, received a $500,000 National Science Foundation Faculty Early Career Development Program (CAREER) grant to teach computers the intricacies of negation. The five-year grant will allow Blanco to build novel resources and algorithms to enable intelligent systems to understand the numerous positive interpretations hidden in sentences containing negation. After compiling the negations and interpretations, Blanco’s team will develop computational algorithms to automatically recognize negation, generate positive interpretations and do so in context. The work could help smart devices and computers carry on more natural conversations with humans, provide better language translations and benefit any application that requires language understanding. CAREER is one of NSF's most prestigious awards. It supports early-career faculty who have the potential to serve as academic role models in research and education.